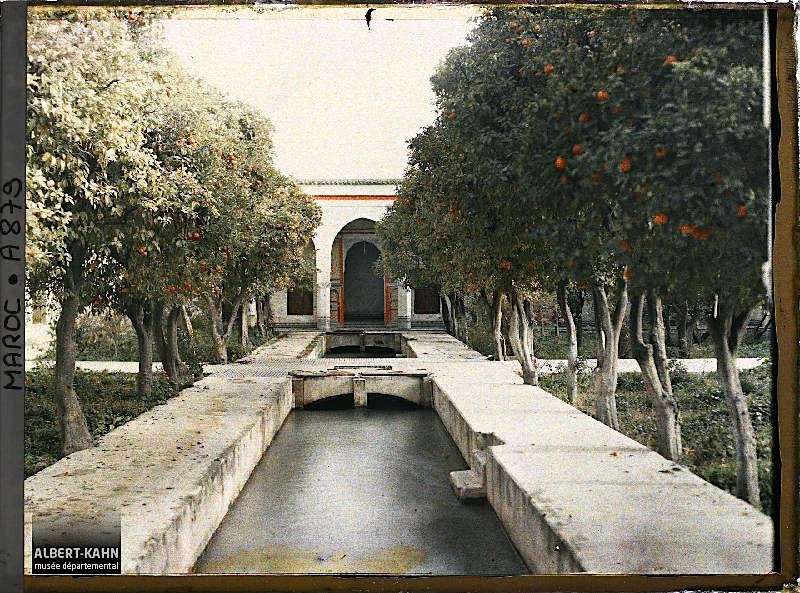 “Dar Beïda [white house] garden in the Bou Jeloud Palace, Fez, Morocco,” January 1913, by Stéphane Passet, via Archives of the Planet Collection – Albert Kahn Museum /Départment of Hauts-de-Seine. 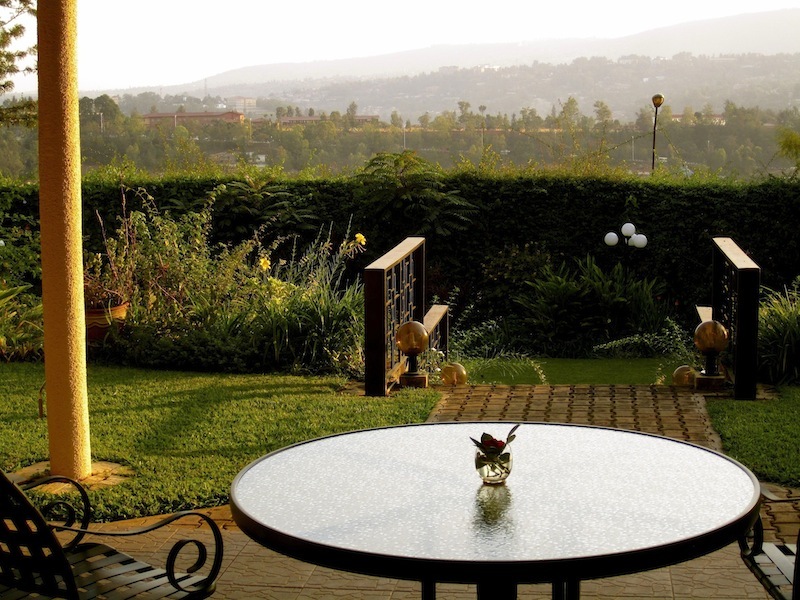 I believe the image above was taken in what is now called the Jnane Sbil Garden — created as a royal garden in the 18th century and open to the public since the 19th. It was restored between 2006 and 2011. *words of Albert Kahn, 1912. Also, the above photo (A 879) is © Collection Archives de la Planète – Musée Albert-Kahn and used under its terms, here. 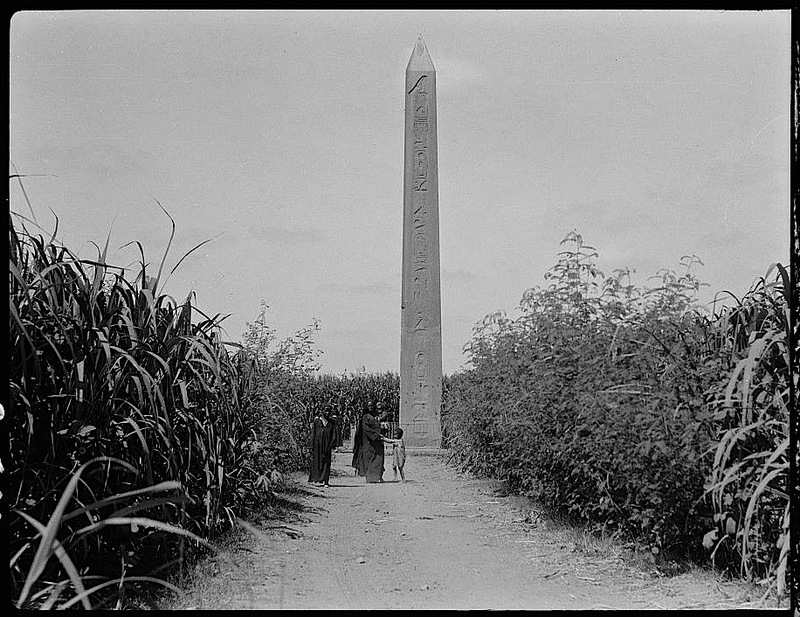 Obelisk, probably Cairo area, Egypt, September 1934, by American Colony of Jerusalem Photo Department, via Library of Congress Prints and Photographs Division. 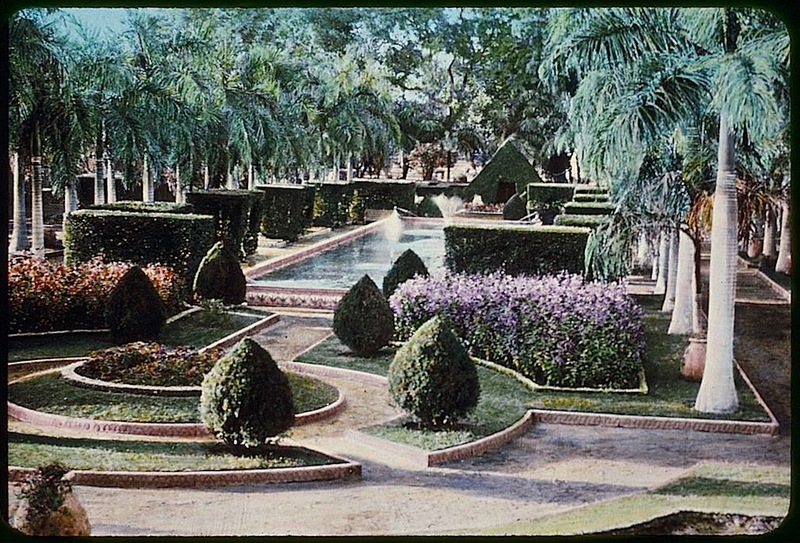 “Cairo’s public gardens on Gezireh,” between 1950 and 1977, hand-colored slide by Matson Photo Service, via Library of Congress Prints and Photographs Division. 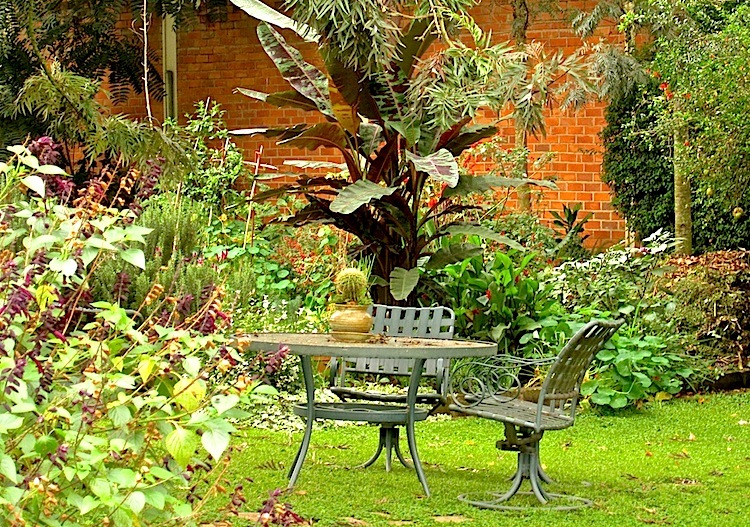 This garden may have been located on or near the current site of the Cairo Marriott Hotel. “Mr. Hesse, Bot. 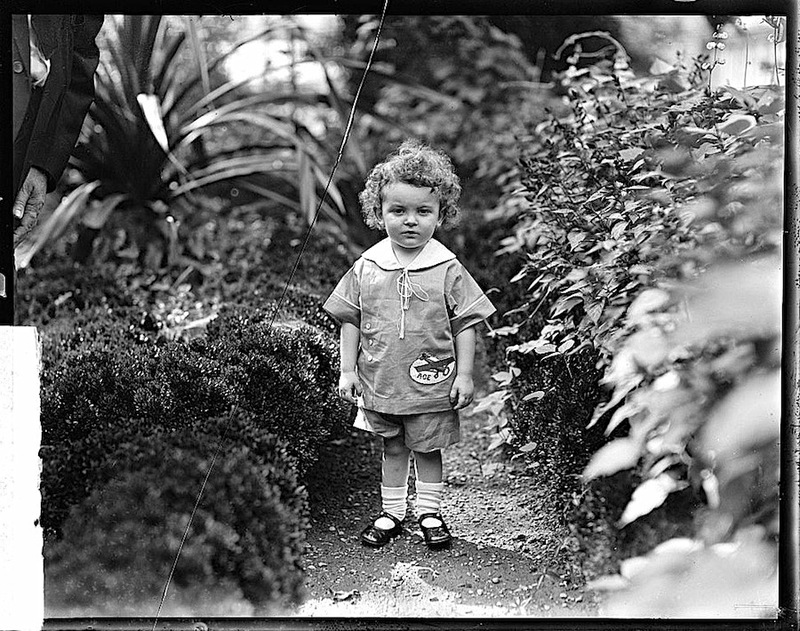 [anic] Gardens,” Washington, D.C., 1928 or 29, by National Photo Company, via Library of Congress Prints and Photographs Division. Years later, did he go back and say, “I remember it as so much bigger. . . “? 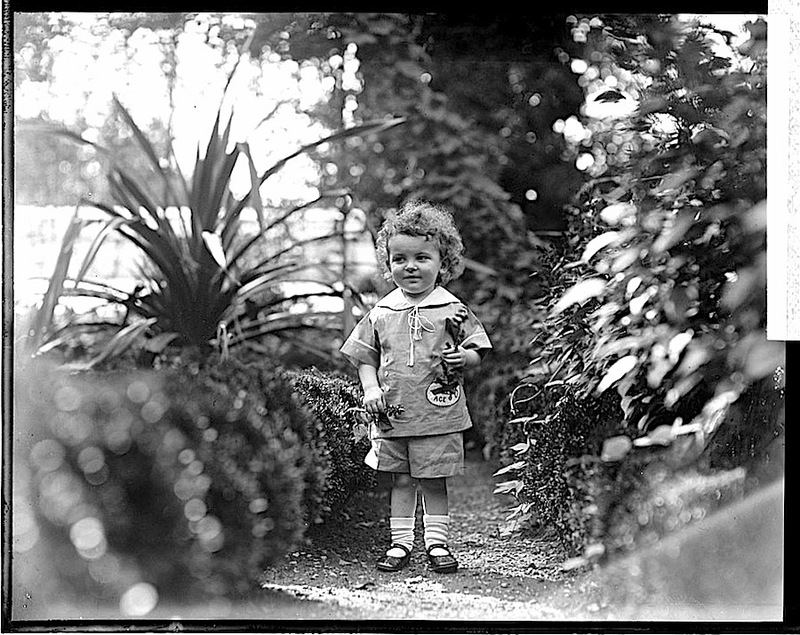 The little boy was almost certainly the son of George Wesley Hess, who was Superintendent and then Director of the U.S. Botanic Garden from 1913 to 1934. 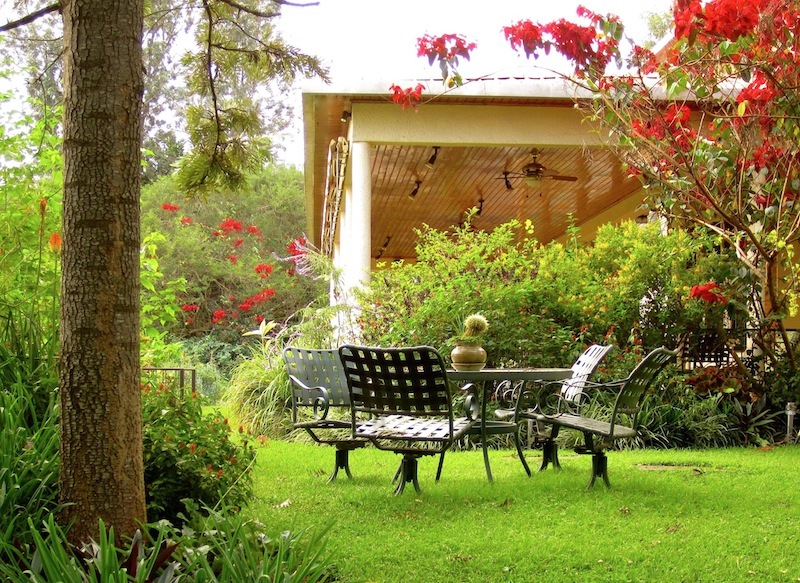 There are more photos of the family and the Garden here.